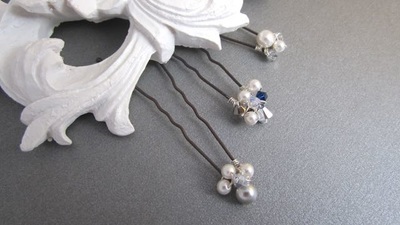 The Victoria Hairpin is floral with a hint of vintage. A silver tone metal lace flower is paired with a central cluster and spray of Swarovski crystals. 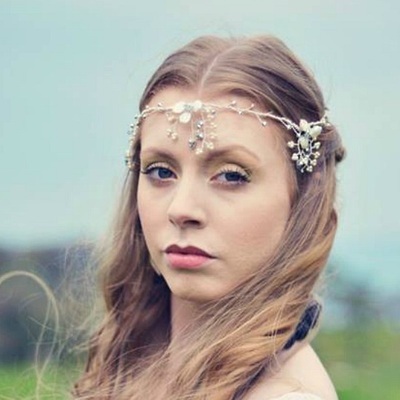 It's perfect to use with the hair up, for a minimal bride or her bridesmaids and flower girls. 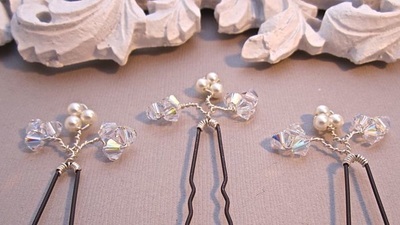 MADE TO ORDER – The Victoria Hairpin is custom made to order. You could have the detailing altered to match your dress, or maybe add some pearls. DIMENSIONS The details on the pin measure approximately 55mm wide by 35mm.